Personalize this Alder Wood AA Anniversary Coin with your name and sobriety date or, the name a sobriety date of someone you love! 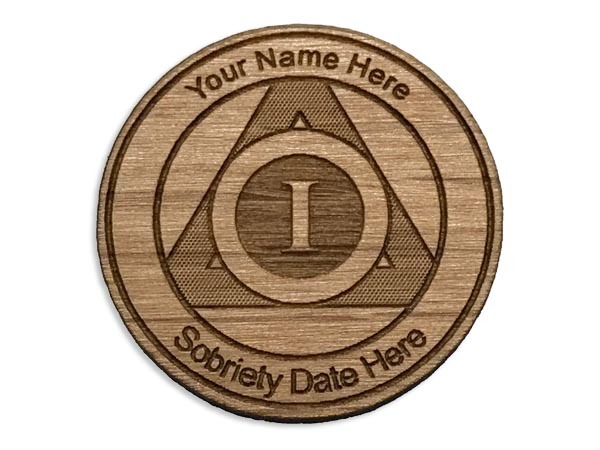 The front side has a unique Circle and Triangle design along with a Roman numeral expertly laser engraved into a warm Alder Wood or Maple Wood token! 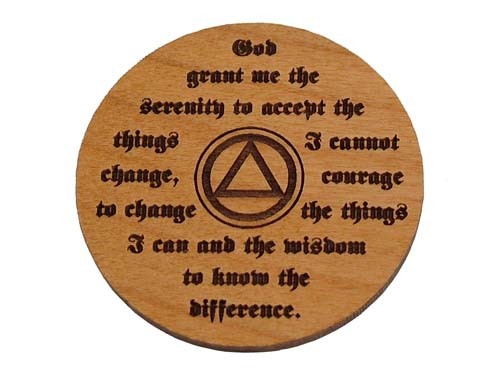 The back side is laser etched with the Serenity Prayer. (Contact us for different reverse side options). 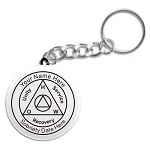 I've been giving these to my sponsees for many years now. They love them and have come to expect these special AA tokens from me.